Applications for the 2019 Fusion & Flare are now open. Please apply using the link below. The Montane® Spine® Fusion & Flare are the summer versions of the classic Montane® Spine® Race & Challenger. 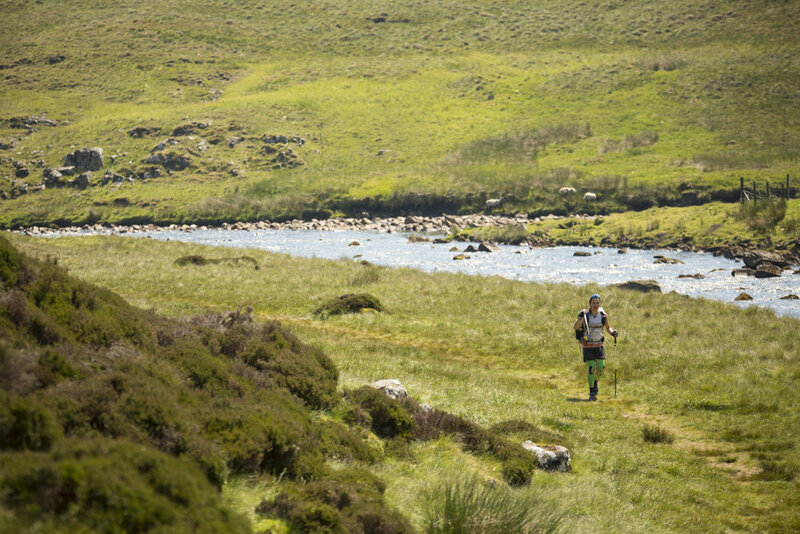 Racing up to 268 miles non-stop along the most iconic national trail in Britain; the Pennine Way. The Pennine Way crosses some of the most beautiful and, at times difficult terrain found in England, including; the peak district, cheviots, Yorkshire Dales and Northumberland national park – finishing at the Scottish borders. Expect to be challenged, expect adventure and more importantly expect them to be fun! We think of these events as the fun before the extreme fury of our winter events. But please remember that as this is an exposed route the weather can change quickly and you need to be prepared for it. The MONTANE® Spine® Fusion is the summer version of the original MONTANE® Spine® Race. A non-stop, 7 day, 168hr race from Edale to Kirk Yetholm. 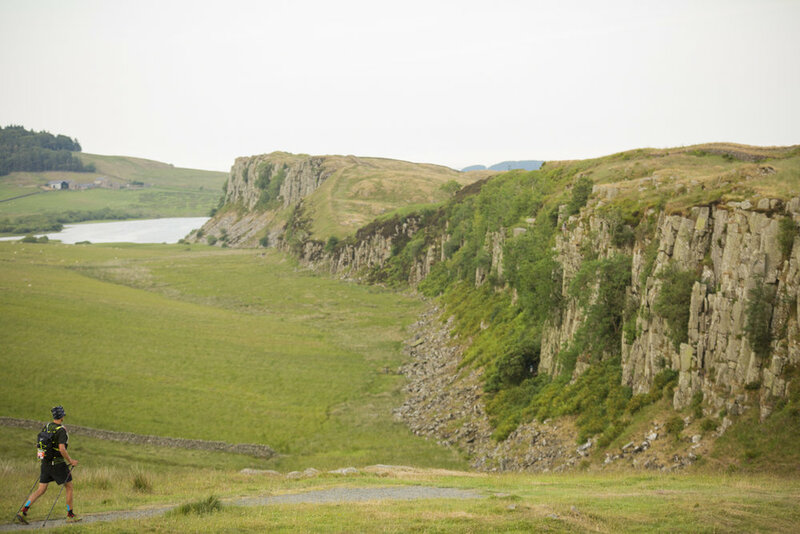 Can you complete Britain’s most iconic National Trail in 7 days? During the 2 years we have organised the summer events we have seen some fantastic racing. 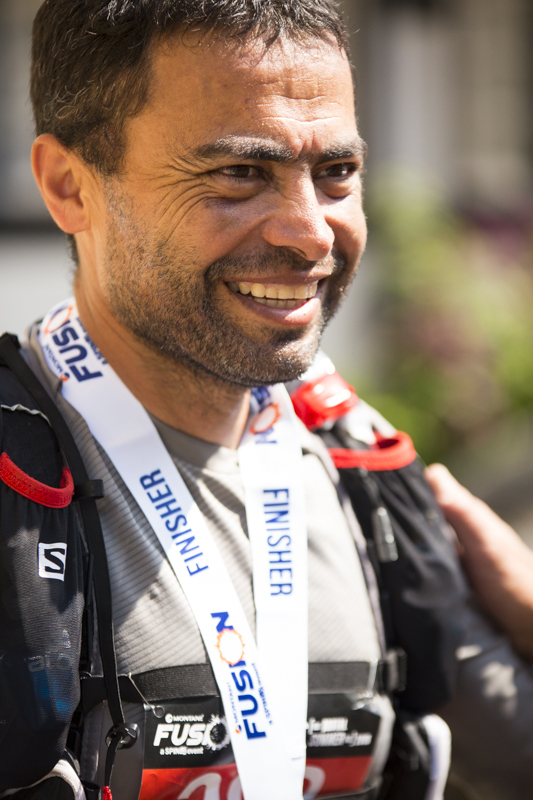 The course record for the Montane® Spine® Fusion was absolutely smashed by Mark Denby (GBR) in an amazing time of 78:04:14. Brigitte Daxelhoffer (SUI) also broke our ladies record by an impressive 12 hours, setting a new time of 131:07:13. The MONTANE® Spine® Fusion encompasses the entire Pennine Way and retains our ethos of day/ night racing, self-reliance and self-management. We are there to help you along the way with our support teams and checkpoints in familiar locations such as Hebden Bridge, Hardraw, Middleton-in-Teesdale, Alston, Bellingham and at the Finish. MONTANE® Spine® Fusion is a perfect event for those researching our feared and revered winter race. There is very little hand holding on this race. We expect you to travel with a degree of self-sufficiency and skill which sets this race apart from others. Why? You should never embark on an adventure of this magnitude without the appropriate knowledge and skill to make yourself safe in a time of need. There is nothing more personally reassuring than being secure in your own abilities. That said, we still attach a GPS tracker to you with an emergency button just in case! The MONTANE® Spine® Team will support your herculean efforts by being there when you really need us. We have an event safety team who will support you on the course, checkpoint teams who will provide you with some of the comforts of home when you need a rest, baggage transfers for your resupply and an excellent medical team provided by Exile Medics. 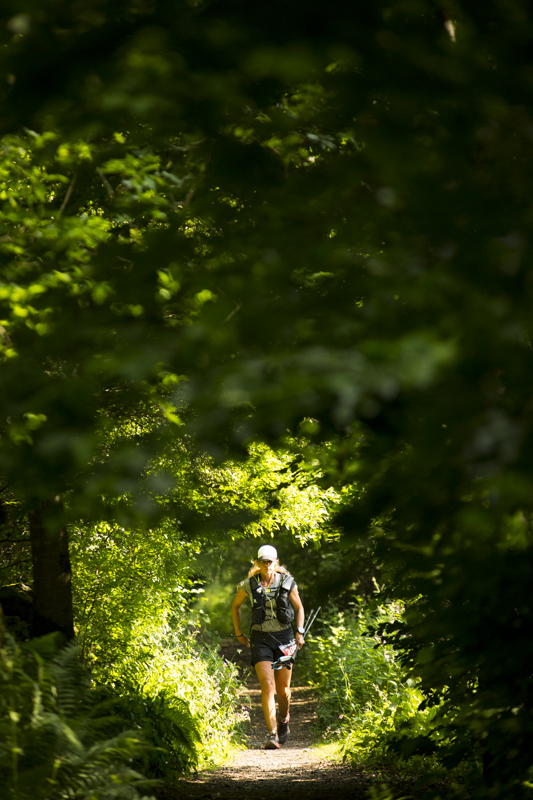 If you’re ready to face Britain’s most brutal summer race, hit the apply button. *Please see Application Guidance, Entry Criteria and Race Documentation for requirements and read the Terms and Conditions of Entry (Race Documents). What is included? . . . This event differs slightly from the winter edition of the race in that some of our checkpoints are camping grounds, where you bivi or tent up whilst receiving checkpoint services. Application Guidance . . .
Our online application form allows you to apply to compete in a MONTANE® Spine® event. All applications are reviewed on a first come first served basis and you will be informed of your success via email if you are deemed suitable for a place on one of the race rosters. In some cases additional information may be requested by a member of the Spine® Team. Please note that should you have any concerns regarding your suitability, for example: race experience or medical history. You can email us at info@thespinerace.com in advance of your application. The first stage is to register your interest. Apply using the form, completing all of the required fields as best as you can. You do not need to pay a registration fee at this stage. Please complete your application by submitting it to us. If you are selected for an event, or we require additional information we will contact you via email. Please do check your SPAM/ Junk filters as emails can end up there! If you receive an offer of a place: To confirm your entry the full entry fee for your chosen event must be paid within 14 days. Failure to do this will result in your place being forfeited. This can be paid via bank transfer or online. We will email instructions on how to pay your race fees. As part of your entry fee there is a non-refundable deposit which is applied to all successful entrants, please consider this prior to entering as once this is paid it is non-refundable, and make sure you read all of the documentation including the Terms and Conditions. We recommend that you purchase appropriate insurance to cover your participation in a MONTANE® Spine® event and the costs of your entry fee, should you not be able to participate. Entry Criteria . . .
As part of your application for a MONTANE® Spine® event, you must provide us with information detailing your skills and experience. This helps us determine your suitability for the event. 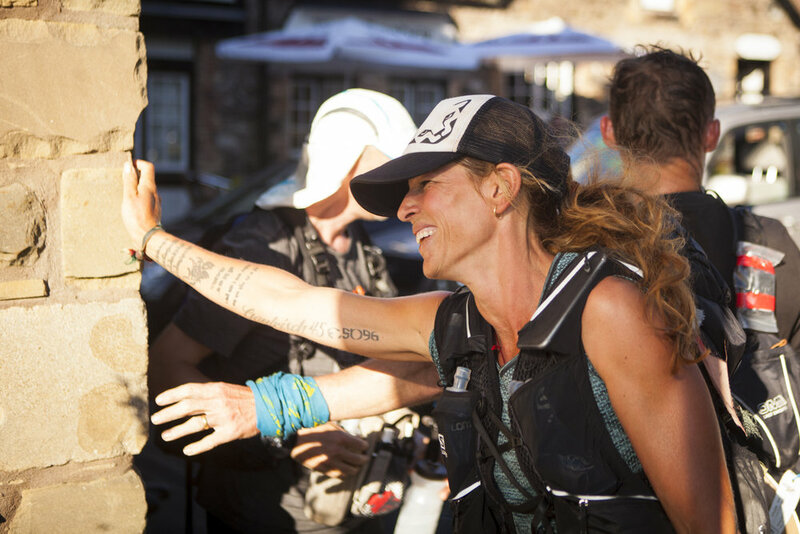 This experience can be drawn from various sources and is not just limited to competing in ultra or multi-day events. Have a look at some of the examples and see if you relate to any of these categories. The race draws on many skills and is advantageous to be skilled in a number of areas related to outdoor activity in fell/ mountainous terrain. Have you previously competed in the MONTANE® Spine® Race or Spine® Challenger? You know what to expect and are coming back for more! Please indicate this on your entry form. Ultras, Multiday, Adventure Races, Fell Races, Expeditions or Challenges like the BGR, Ramsay Round are always looked on favourably. It goes without saying that the more relevant these are the better: Fellsman, Hardmoors 110, Lakeland 100, UTMB, Tor des Geants, Goldsteig, YAU etc. The more a challenge features mountainous/ fell terrain, cold, moorland and elements of navigation the better. Long distance walking is also extremely beneficial and you may find yourself doing a lot of this! Skilled navigator? Have you competed in orienteering events? The route is waymarked as it is a National Trail, but not to the point where you can forget about navigation. Many skilled navigators have made errors on this route. Especially in bad weather or whilst racing at night. The trail may also be difficult to see in sections. Solid navigation skills are very important. Mountain Leaders, Winter Mountain Leaders, Mountain Rescue Team Members, Mountaineers, Active and Former Armed Forces Personnel have solid skills, fitness and can certainly look after themselves in these environments. These are just some examples of what we look for in an applicant. If you feel you have skills or experience not mentioned in the above examples, please include this as part of your application. Please note that this is a physically demanding race and your application may be reviewed after we receive your medical information. Please email us for details. To receive the Spine® Race newsletter for the latest event news, please signup using the form below. Thank you! We will make sure your name is added to the list!